The latest "Star Wars" movie failed to make the jump to hyperspace when it opened in China at the weekend. "The Last Jedi" has already been a monster hit around the world, but it fell short of earlier editions of the franchise in the world's second-largest market. The latest installment opened to an estimated $28.7 million in China this weekend, according to data from Disney (DIS) shared with CNNMoney by Comscore (SCOR). A local comedy, "The Ex-File: The Return of the Exes," took top spot by raking in $78.7 million. Previous releases of "Star Wars" movies in China have performed better: Comscore said "Rogue One" and "The Force Awakens" earned $30 million and $52 million in their first weekends respectively. Paul Dergarabedian, senior media analyst at comScore, said "The Last Jedi" performed in line with expectations. While it may be hard for fans to imagine, the hit franchise just hasn't acquired the same fevered frenzy in China that it has elsewhere. "The historical performance of 'Star Wars' in China has not been earthshaking," said Dergarabedian. 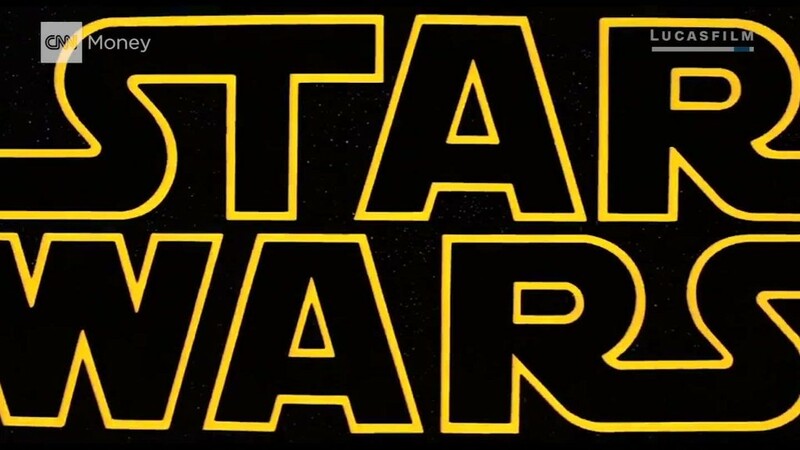 "'Star Wars' is a cultural phenomenon in the United States and other parts of the world, but in China, the original films did not have a wide theatrical release and were not part of the cinematic culture." Disney took a more aggressive approach to marketing the movie this time around, from billboards and mobile ads to a star-studded premiere at the Shanghai Disney Resort, which opened in 2016. But it may have to be patient in building a local following for the sci-fi blockbuster. "To elevate the brand in China, it may be a matter of consistency more than anything else," said Dergarabedian. "The Force Awakens," for example, had the benefit of "a decades-long buildup" to its release, he noted. 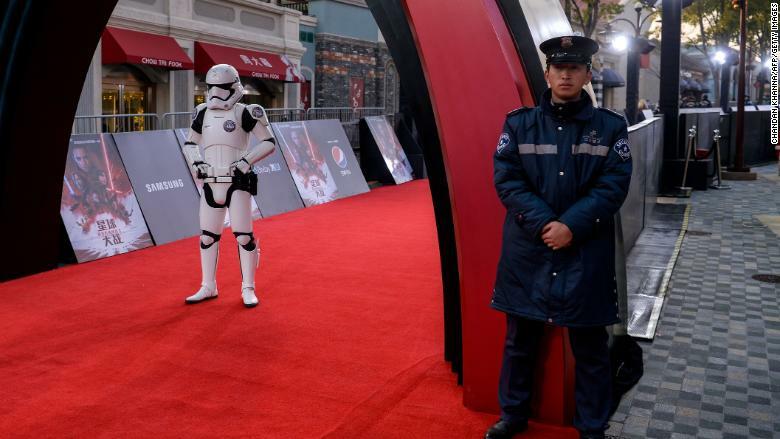 A stormtrooper and security guard at the red carpet for the Chinese premiere of "Star Wars: The Last Jedi" at the Shanghai Disney Resort on December 20, 2017. Despite the middling box office figures, "The Last Jedi" was still the top Western film in China over the weekend, which Disney said helped it pass the $1.2 billion mark worldwide. It is also now the sixth-biggest U.S. film release of all time, according to the company. "Any movie that enters the $1 billion club globally like 'The Last Jedi' is a smash hit no matter how you look at it," said Dergarabedian. "But China.... is always extremely important to any movie's success, and so breaking big there is a very important goal that all studios try to reach."